Chengdu Chili: One of China’s most popular cuisines comes to Sheung Wan with a cozy, intimate concept. 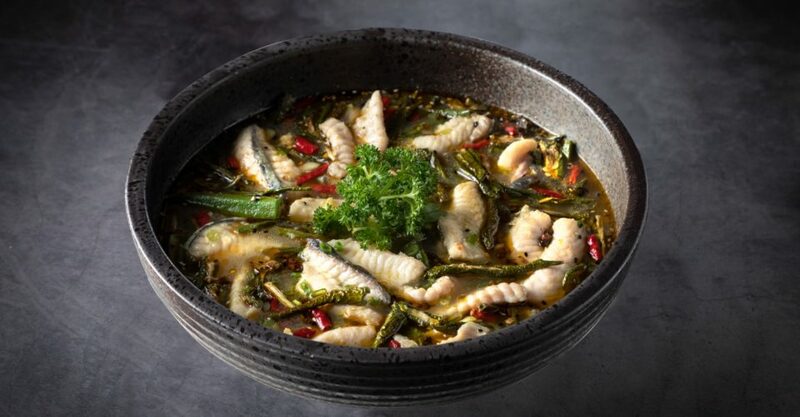 Setting up shop right by Western market, Jing Alley brings a refined version of Sichuan cuisine to Hong Kong with an emphasis on healthier ingredients. Look & Feel: The décor has been created to resemble the old housing and grey brick alleys common not only to Chengdu but many cities in China. On one side of the restaurant you’ll find regular tables, while the other is lined with four-person private booths enclosed by curtains. With the grey brick and ceiling, it almost resembles an overcast day — kind of cozy yet warm. On the Menu: The menu here presents authentic cuisine but with the ingredients of a modern kitchen: think enough spice to have your taste buds tingling and enough chilli so you don’t forget which cuisine it is, but paired with fresher and more aromatic ingredients and cooked in less oil than your usual Sichuanese affair. Standout dishes include the sliced pork belly in black garlic paste made with Miyazaki pork from Japan, Yunan garlic and marinated with 25-year-old balsamic vinegar from Spain as well as the organic maitake mushrooms, a savory dish served with baked-dried crispy soybean. Meet the Owner: Jing Alleys is the brainchild of Nansen Lai, the son Sum Lai who owns Wan Chai’s East Lake Seafood Restaurant and head chef of Fumania. Great For: Adding something a little spicier than usual to your routine. 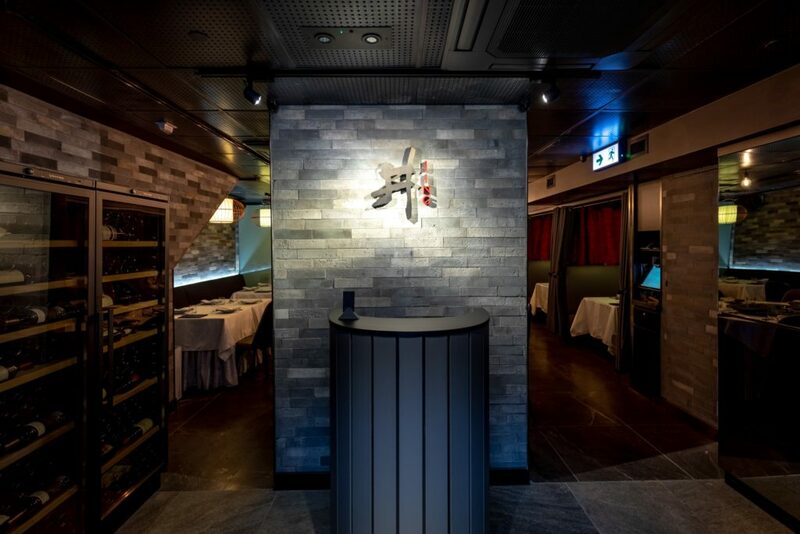 FYI: Jing Alley is Lai’s second venture after he opened the elegant Cantonese restaurant Flower Drum in Wan Chai in 2017.
his writeup is a news piece and was not based on a restaurant visit. The Loop HK will update this post once we’ve visited in person.